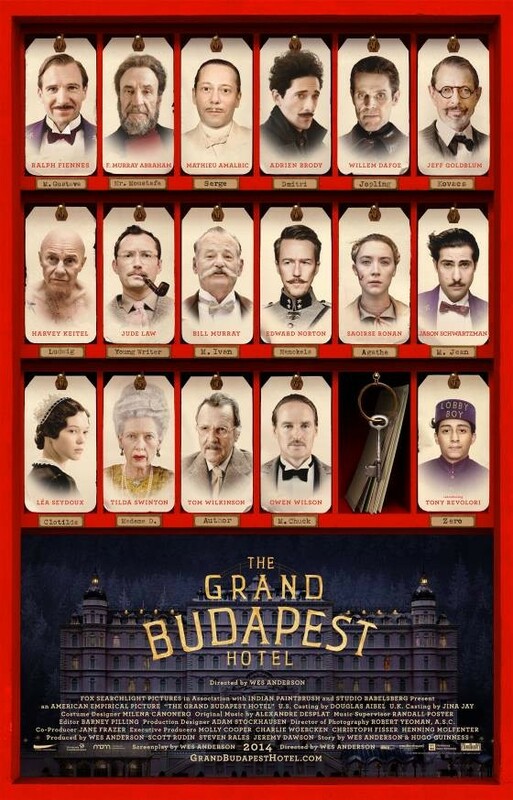 If filmmaker Wes Anderson simply isn’t your quirky cup of tea – the handmade look and feel of his sets, the subtle and oftentimes dry humor, the eccentric overall nature of his characters – not much is going to change your mind with his latest opus, ‘The Grand Budapest Hotel.’ For fans of his authentic and whimsical work who really don’t understand what everyone else is missing, a trip with Anderson to the fictional Republic of Zubrowka (because in Anderson’s world, Hungary would be just too square) is like an inclusive tour of his 10-year-long career. From his 1994 film ‘Bottle Rocket’ to his prior art-house success, 2012’s Oscar-nominated ‘Moonrise Kingdom,’ Anderson seems to have taken elements from his past work to fashion together another satisfying creation. It doesn’t top some personal favorites (‘Rushmore,’ ‘The Royal Tenenbaums’ and ‘Fantastic Mr. Fox’), but even Anderson’s middle-of-the-road entries should never be described as such. In ‘Grand Budapest,’ Anderson uses an assortment of flashbacks cutting from the 1980s to the 60s and again to the 30s to tell the story of how Zero Moustafa (F. Murray Abraham), the hotel’s aging owner, came to take possession of his fine establishment after working as a lobby boy there decades ago. Under the tutelage of M. Gustave (Ralph Fiennes in a role unlike anything he’s ever done), a faithful concierge employed during the hotel’s glory days in the 30s, a young Zero (Tony Revolori) gets mixed up in a family affair when Madame D (Tilda Swinton), one of the wealthy female hotel guests Gustave takes special care of (wink), dies and bequeaths to him a priceless painting much to the chagrin of her extremely serious family (Adrien Brody plays her irate son). When Gustave is accused of actually murdering Madame D, he and Zero set out on a mission to prove his innocence, which includes evading an evil assassin (Willem Dafoe) and the local police (Edward Norton plays Inspector Henckles). It also features an outrageous jail break that could only be invented in Anderson’s head. As silly as Anderson’s past films are, ‘Grand Budapest,’ with its crime-caper narrative, feels even more madcap than, say, a group of stop-motion mammals digging underground escape tunnels in ‘Fantastic Mr. Fox.’ The ‘Keystone Cops’- atmosphere, however, isn’t a bad thing to see in an Anderson film. If anything, it keeps the story moving swiftly and on edge. So, along with the pastel-colored designs, the dollhouse appearance, and detailed imagery, Anderson packs his film with kooky chases and vaudevillian-esque comedy. Finding some of his vision from the work of German American director Ernst Lubitsch, Anderson can take the most random film references and styles and build on them to mold his own cinematic flair. It might feel typical to those who can’t differentiate between Anderson’s more entertaining albeit mature storytelling, but there are plenty of new nuances in ‘Grand Budapest’ that continue to elevate his filmmaking charm and spark more artistic inspiration. ‘The Grand Budapest Hotel’ was screened as part of SXSW 2014.